← Ailee, Jay Park and San-E: Unite the Mic! Happy Holidays everyone! 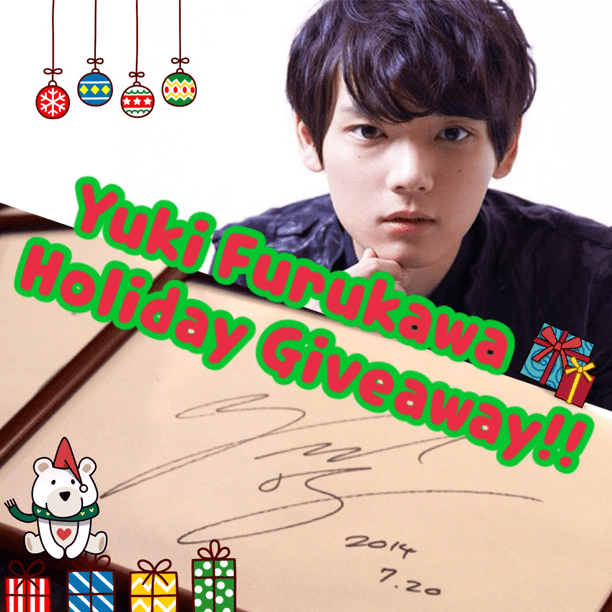 We have a lot of Holiday cheer to spread this year, starting with our first giveaway of the season: Yuki Furukawa signatures!! Where would you want to take Yuki for the Holidays?? Share the post on FB! Be sure to use the hashtag #NuttiesYukiHolidayGiveaway so we can find your entries! We will announce the winners on Christmas Day! Good luck!